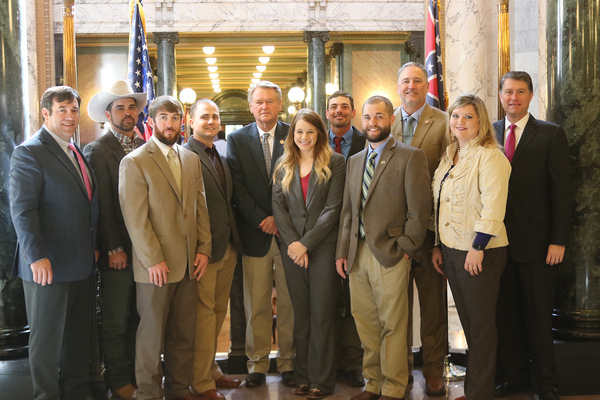 The Young Cattlemen's Leadership Series visited the Mississippi State Capitol last week where they met with members of the House and Senate Ag Committee. They also got the opportunity to meet with Commissioner of Agriculture Cindy Hyde-Smith and discuss issues effecting agriculture in the state. 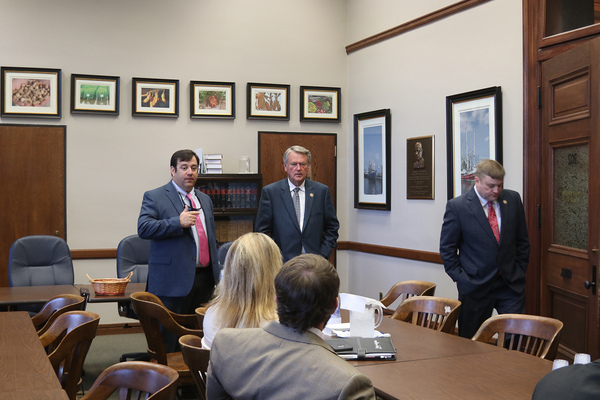 During their two day meeting they visited with representatives from Natural Resources Conservation Service, Mississippi Beef Council, Mississippi Cattlemen's Association, and Farm Service Agency. 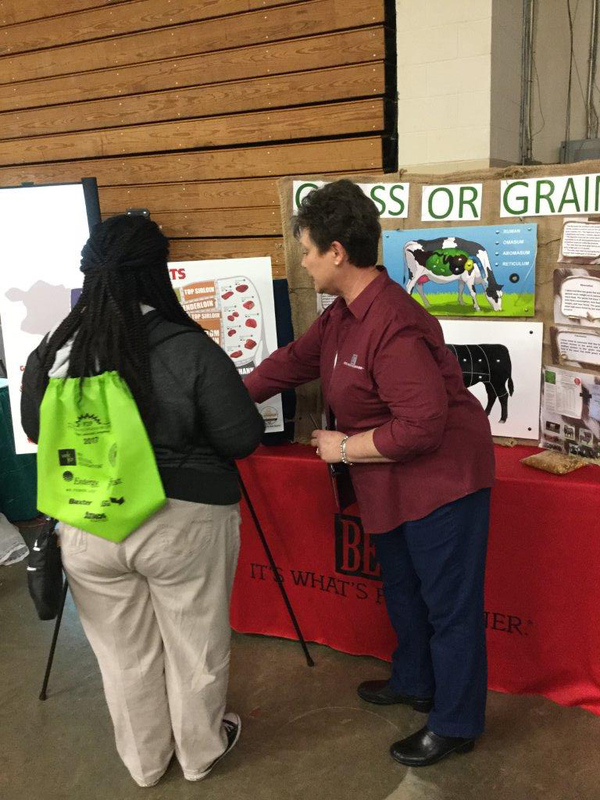 Last week Mississippi Beef Council staffer, Nancy Strickland was in Greenwood visiting with over 2,000 school age children about the benefits of BEEF. 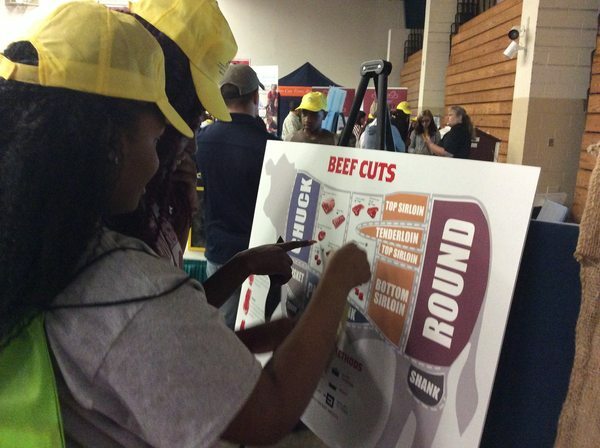 The interactive display allowed the students to learn about the cuts of beef and how cattle are raised. This was made possible through check-off dollars. Education of the next generation of buying consumers ensures that beef will stay center of the plate! 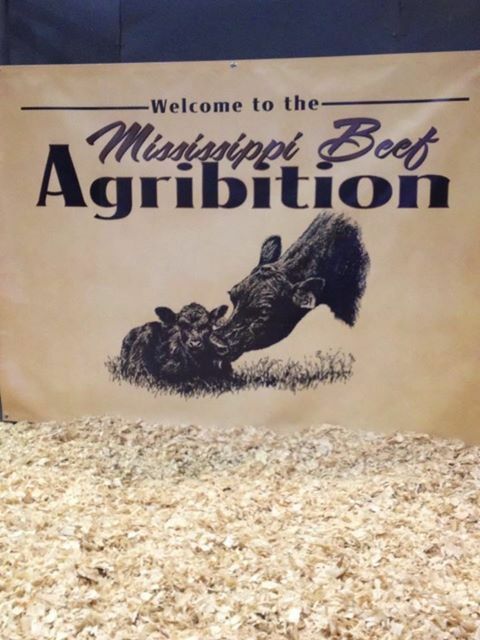 Last Saturday the Mississippi Beef Agribition held its 20th sale in Verona. Thirty-nine pairs averaged $1,928.94 with the high selling lot going for $2,300, 31 breds averaged $1,366.12, and 43 opens averaged $1,332.55. High selling bull was a Hereford for $3,000 followed by a $2,350 Angus. Sale grossed $222,900 on 128 head. We are in the final weeks of the steer raffle. Thank you to Southern AgCredit for donating their champion steer purchased in the Sale of Junior Champions, to MCA. The Champion English /MS Bred Champ English Steer was exhibited by Hannah Katherine Jones of Madison 4H. You should have received your tickets for the raffle, we encourage you to return them to the MCA office. When the wildfires tore through the southern Plains, they destroyed homes, some peoples’ livelihoods, and even genetics. Greg Gardiner, co-owner of the Gardiner Angus Ranch in Ashland, Kan., lost approximately 500 cattle in the blaze. The Gardiner family has been fine-tuning the genetic make-up of their Angus herd for years. Some of Gardiner’s donor cows survived during the fire, saving multiple generations of genetics. Other ranchers are experiencing the same story; however, their losses might not be realized for years. For a video and more from this Drovers article click here. The Mississippi Cattlemen's Association along with the Mississippi Cattlemen's Foundation will accept monetary donations to assist in recovery efforts for producers. The money will be distributed through established relief programs for cattle producers. You can make your tax deductible donations to the Mississippi Cattlemen's Foundation, 680 Monroe St. Suite A, Jackson, MS 39202 or by calling (601) 354-8951. Beef Checkoff Sustainability Research program has requested herd information from the Southeast for Beef Sustainability Lifecycle Assessment. We ask that you please take the survey to provide good representation of the Southeastern cattle rearing region. All information provided will be kept strictly confidential. 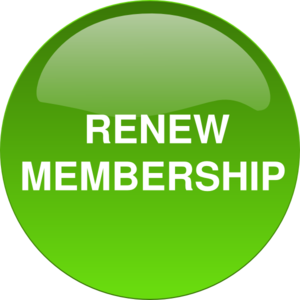 Please submit your responses to the survey by March 30, 2017. Cash traded fed cattle were up slightly to an average of $128.95 for live sales, 20 cents higher than last week. Dressed steers were up $4.94 to an average of $212.97. Fed cattle trade volume was little over 26,000 head. Mississippi feeder steers weighing 450-500 pounds were $4 lower this week to $153.50 while 750-800 pound steers were up $6 to $122.50. Average feeder prices in Oklahoma City for 500-550 pound steers were up $13.06 to $165.74 while OKC 750-800 pound steers were up $3.16 over last week to $133.11. Cattle futures prices surged the week. April live cattle were up $3.08 over last week to $122.08 while June live cattle were up $3.35 to $112.73. March feeder cattle were up $2.30 to $133.50 while April feeder futures increased $4 on the week to $135.50. Corn futures prices were down this week with May and July futures each down 12 cents to $3.55 and $3.63, respectively. 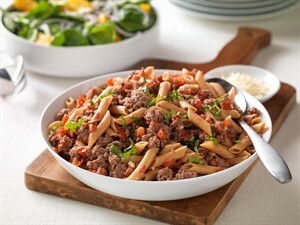 Wholesale boxed beef prices were up again this week. Choice boxes averaged $223.12, up $1.56 from a week ago. Select boxes ended the week at an average of $215.30, an increase of $1.76 from last week. The choice-select spread decreased slightly to $8.02, down 20 cents from last week.